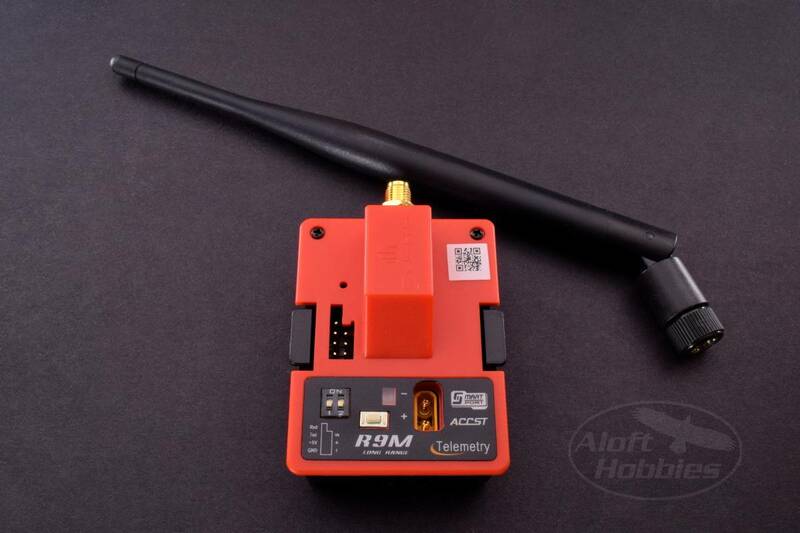 1 watt, 900 MHZ long range transmitter module, with external power input. Welcome to FrSky's first long range flight control system. The heart of this system is the R9M transmitter module. The R9M module transmits at 900MHz and the output is adjustable from 10mW through 1 watt, depending on how far out you want to fly. At 1 Watt, on a good day, the R9M can have an operating range of approximately 10km (6.21mi) or more. This is the improved R9M with the external XT30 plug.